You are ready to sell your RV and possibly ready to purchase a new one. Preparing yourself ahead of time will get you the most money and a quicker sale. 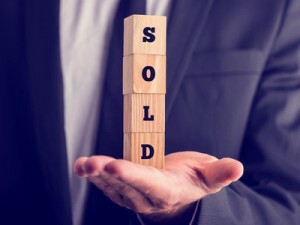 Follow these guidelines to help you get the most you can out of the selling process. Take care of all repairs no matter how small you may think they are. It is possible to recover all the costs of repairing because of how much more you will get from the vehicle being in better condition. Do a quick walk-through video on your smartphone. Have your spouse share a fun story or two related to how you used the RV. Get an air freshener in there, something mild but a scent that makes you feel good about being inside. Price too high and you will have: very few prospects, longer than normal sales process. All this results in missed sales opportunities. Price too low and you will leave money on the table . The trick is to know the fair market price, we recommend going to NADA and plugging in your model and features to get an estimate. Put a “For Sale” sign up and place it in a window on a busy street. Post in local classifieds and newspapers. Post your RV online. Some online sites will be free such as craigslist and some might charge you a small fee. If you still owe money on the vehicle then you may need to have documents prepared by an escrow company. Ask the buyer to arrange any financing they may need beforehand. Do not sign over the title until they have given you money (cash or bank check). No exceptions. Be truthful about any issues or things that need repair. Honesty is important.t. When you show your RVact like you care and are excited about what you are showing. We hope this information will prove to be as useful for you as it was for us. Check out some of our helpful buying articles here.